AzQHA has developed an innovative scholarship program designed to encourage membership and reward excellence. Arizona Youth members who are going to college are eligible to compete for a portion of the scholarship funds. Why do we call it ASCENT? Ascent means to a rise to an important position or a higher level. The AzQHA is passionate about our youth and committed to doing all things possible to see our future generations rise up to the next level through education. The ASCENT program awards scholarships to Interscholastic Equestrian Association competitors at a competition during the Arizona Fall Championship Show. In order to qualify for these awards, they must be AzQHYA members and show at two of the three No Bling Shows. This program has added many new youth members, as well as competitors and spectators at our shows. 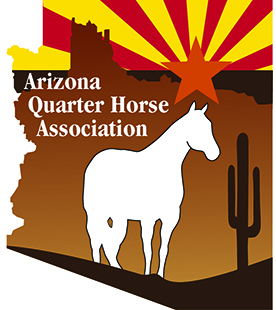 The Arizona Quarter Horse Association will offer an Interscholastic Championship Invitational at the 2018 Arizona Fall Championship show. 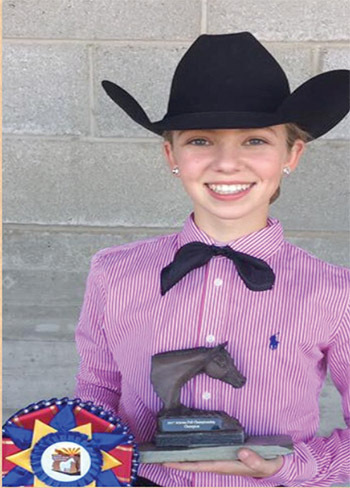 There will be three classes of Horsemanship and one class Reining to 6th– 8th grade students. Four classes horsemanship and two classes reining to 9th-12th grade students. Each class (ten classes) to award $1000 worth of scholarships. Each class to pay three places $500 to 1st, $300 to 2nd. $200 to 3rd. With your help, we can continue to expand this program. Funds earned by exhibitors are kept in a restricted account by the AzQHA until they graduate from high school; then, the funds are paid directly to the college, trade school or university that student attends. 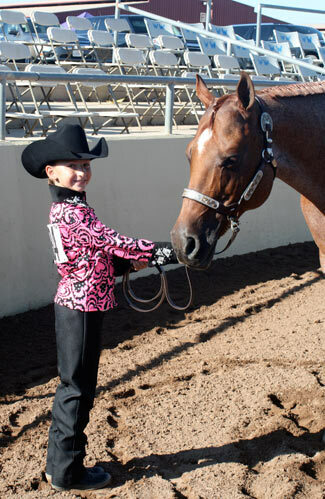 This is a wonderful incentive for youth to participate and compete in horse shows each year. Over time, it can add up to a significant boost to their education fund. Many thanks to Dr. Joni Hegel for sponsoring AzQHA’s Youth Scholarship programs. When can I redeem my scholarship? Once you declare which accredited college or trade school you will be attending. A disbursement form will be available from the AzQHA. When are the requests due? Once the recipient declares which college they will be attending they must contact AzQHA with the respective colleges financial department contact information. AzQHA will send the funds directly to the college the recipient requested, in the students name. The recipient will have up to two calendar years after their graduation from High School or GED to request their scholarship and begin attendance at the college, trade school or university. After 2 years the scholarships expire and monies will be allocated for future eligible students. AzQHA Board of Directors reserves the right to determine eligibility criteria and enhance the program as needed. Visit the AQHA Grant & Scholarship page for details and application. 1. Must be current member of AzQHYA or past member. Must have membership card or written correspondence from AzQHA secretary confirming previous membership. 3.Must maintain enrollment as a full-time student. 4.Must maintain minimum grade point average of 2.5 or higher. 5.Must contact AzQHA in writing to inform us of your intentions of applying for scholarship and provide copies to AQHA scholarship office. 6. If not accepted for scholarship in one year applicant can reapply for the scholarship the following year. *Scholarship will NOT include long distance learning or online education courses. Copyright 2016 Arizona Quarter Horse Association. No content herein may be reproduced without the express permission of AZQHA.